Great coffee, full flavor, surprising pleasant smooth taste out of a dark roast, with little to no bitterness, go figure. First time buying a true organic coffee, this coffee is so good I already ordered 2 more…..highly highly recommend. This coffee is superb with a smoothness & richness I haven’t found in any other dark roast coffee. Trust me I have put this coffee thing a multitude of tests, cold brew, french press, espresso, pour over & even drip, still cannot find a weakness. I usually drink my coffee with cream but this is so good with no bitterness that I drink it black. This Angels espresso is a real hidden gem. Highly recommend!!! All I have to say is that this is the best damn dark roasted coffee I have ever tasted and trust me I have tasted a lot of different coffees. The flavors and lack of bitterness blows me away. Now that they have gift certificates I know what I am giving the coffee lovers in my family for Christmas. Try this coffee you will not be disappointed……A++++ seller as well. This espresso makes an awesome cup of coffee, maybe the best dark roast I have found to date. Finally a dark roast with rich flavors, no bitterness, very little acidity and deep dark array of flavors. Will buy again, highly recommend!!!! This is probably the best tasting all around coffee I have every found. It flavors are full of hints of citrus, dark chocolate, mocha all the while not exhibiting any bitterness or acidity associated with normal dark roasted coffees. I have put this bean thru the wringer. I have made as an espresso, french press, drip, pour over this darn thing blows anything else I have ever tried away. This is one darn good coffee. I am extremely happy with my purchase of this espresso bean. The beans are fresh and some of the best I have ever tasted. I am a coffee snob and the members of my work group consume 6-7 pounds off coffee every month. We are currently working our way thru the whole line of Thai coffees from The Exotic Bean. So far they are all awesome. WOW…….this coffee was a real surprise wasn’t sure what to expect when I ordered it based on a friends recommendation. This is the only coffee I have ever purchased that I can honestly say holds up to my rigorous standards. I made it as an espresso, french press, pour over, cold brew, you name it I tried my hardest to find a flaw, never found one. Not sure why the whole coffee world has not discovered The Exotic Bean but they have a fantastic product they should be proud of. Finally not the same old, same old. Will buy again, cannot wait to try other offerings. If they are anything like this I may have found the holy grail of coffee. Absolutely LOVE the Angels Espresso, it has changed my espresso life. Love the hints of chocolate followed by an array of other fantastic flavors; all with no bitterness! 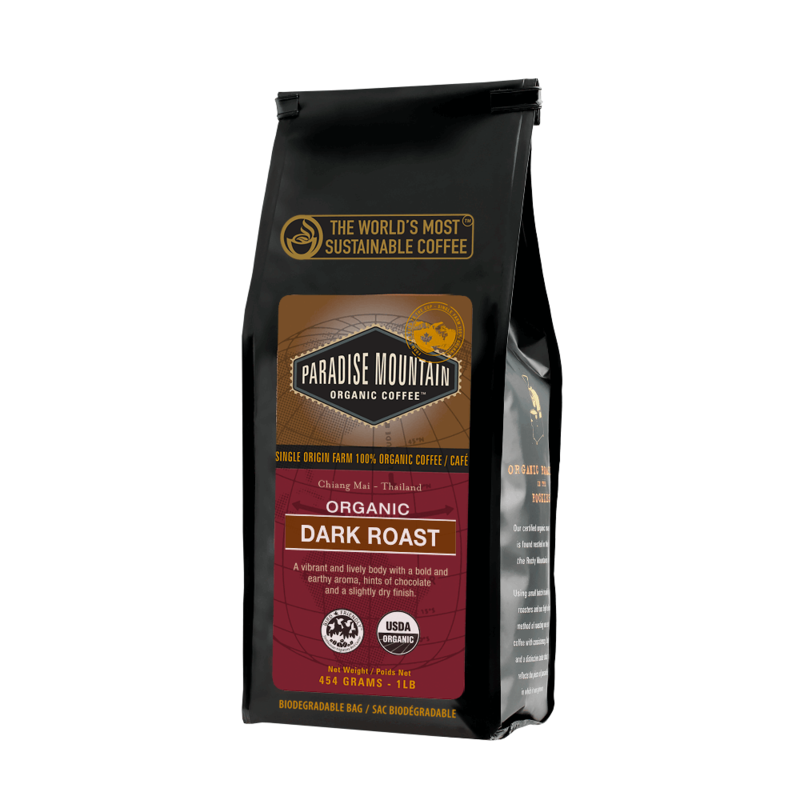 I only drink dark roast and this is the best dark roast I have ever tasted. The Thailand Dark Roast is a very, very close second. Nice rich, smooth rich flavor with a slightly sweet taste just like the description says. Makes an awesome cup of coffee. Highly recommend!! This is no doubt the best espresso dark roast I have ever tasted. Smooth, creamy, chocolate initial taste followed by an array of wonderful flavors, not a hint of bitterness. Glad I found these guys….great coffee.